UPDATE 09/27: We no longer provide free automated transcripts. You have to now pay for it at 10 cents per minute of audio. 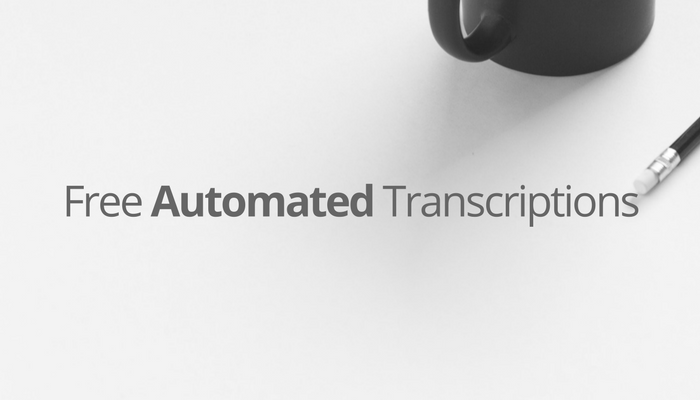 Getting your automated transcripts from Scribie is a fairly intuitive process. But here is a step-by-step guide on it. Click on “Upload Files” button. You have many ways to add your file. Once you have chosen wait for the file to be uploaded. You will get a pop up to create an account or to sign-in if you already have an account. Once you click on “Auto” again, you will get this message. Wait for the email from Scribie on yourom registered mail id on the status of your file. Once you get the confirmation mail, click on the link provided and you will be directed to the screen with the button ” Edit transcript”. 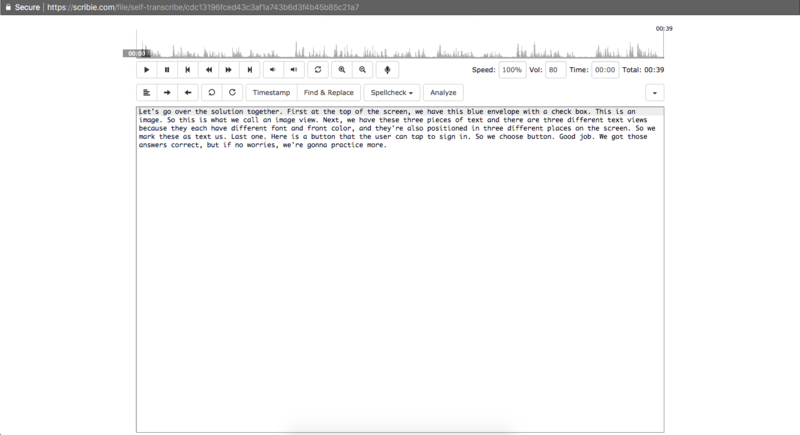 Click on “Edit Transcript” to start editing.